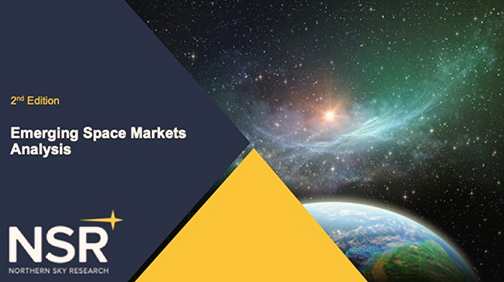 With barriers to space market entry lowering considerably, and a supportive ecosystem growing, the emerging space market continues to attract interest with a flurry of activities across multiple applications. Falling technology costs and government support pushing for commercialization further aid this ecosystem, positioning it as both competition and a complement to traditional space incumbents. With companies moving beyond the R&D phase into operations (48 percent of total companies founded today, up from 43 percent in 2016), a healthy market dynamic exists, but on the road to success, there are 4 critical elements common to most emerging space players that NSR identified across all segments. Access to sufficient funding is by far the most vital factor for emerging space companies. In an industry rife with astronomical costs — no pun intended — securing patient capital investments is a key aspect in ensuring cost effectiveness and market success. The effect of funding is most pronounced in the E2S segment, which remains a hardware centric industry driven by high CAPEX requirements of launch service providers (LSPs) and manufacturers/operators, and none know this better than the space unicorns. In the downstream S2E segment, investments are distributed across a larger set of companies, wherein satellite communications comprises nearly 60 percent of the investments made since 2000. However, delivering value for potential customers and generating revenue in a competitive market will be essential for these players to succeed. With constellations competing heavily, the question remains: will these companies be able to translate funding received into revenue in a competitive market? Meanwhile, the uncertain nature of the S2S segment with its long-term ROI necessitates strong investor buy-in, evident from the low capital it has attracted thus far. Despite active technological development and a push for privatization in the post-SpaceX era of emerging space markets, global regulatory environments remain a major hurdle for companies looking to launch or have assets launched into space. Operating licenses for LSPs remain a slow process, and regulations are not yet equipped to support new modes of operations. The long timelines required to obtain regulatory approval often work to the disadvantage of emerging space companies. Newer regulations regarding space debris could further impact the S2E segment, especially for spacecraft without de-orbiting capabilities. The emerging space market is a tightly-knit network, with multiple interdependencies between the products/services of a company and other entities, including traditional and non-space actors. The launch bottleneck is expected to ease up once more dedicated smallsat launchers enter the market in the coming years. Then, there is the issue of customer stability. Earlier this year, GomSpace held up production on a 20 cubesat order from Sky and Space Global due to past-due payments. While MOUs continue to be signed between suppliers and satellite operators, translating them into revenue-generating contracts is key. In the S2E segment, aspiring satellite operators need to win high-value contracts to ensure their constellations are not under-utilized upon launch, and a timely ROI. The space industry is traditionally risk-averse, and this will be a key barrier to entry for S2S players, given the novel nature of in-space applications. The addressable market for S2S is limited, and such companies might need to look at adjacent segment applications for near-term returns. And even this might not be enough, as seen in the case of Planetary Resources and DSI. While heritage is relatively less important to emerging space customers, having a flight-proven product remains a competitive advantage, easily seen in the emerging market for optical communication terminals, where companies like Tesat-Spacecom hold an advantage over other early stage ventures. S2S applications, primarily of government heritage with low TRLs, were generally developed for non-commercial purposes. New technologies will need to be evolved, to translate such services into market ready solutions. Companies in the emerging space markets will face key challenges that pose a high potential risk of failure, and a key initial success factor for companies will be the ability to secure the right funding. The ecosystem remains vibrant and Innovative, boasting a positive market outlook, but it will not escape the key restraints of the traditional space industry, ranging from CAPEX costs and undeveloped regulatory frameworks to technological failures and distribution networks, all of which are inter-linked as they take the road to success.